Given the fact that very few, if any, people or institutions canknow who did it with enough details, data and precision to accuse anyone, the MH17 tragedy has been misused to an extent that can itself only be termed tragic. This is the moment for all of us to come together – Kiev, Eastern Ukraine, Russia, the EU and the U.S.; we call upon the UN perhaps with the OSCE to convene a meeting with all parties – including civil society. There they shall voice their grievances, say what they fearand give their priorities and, step by step, begin to discuss ceasefire, ceasefire arrangements, monitoring and dialogue (not negotiate) and brainstorm about futurearrangement they could all live with. I would call it an All Party Peace Process, APPP, within a time horizon of 12-24 months. Its first step must be that arms fall silent and that that silence is kept by a carpet of several thousand international military and civilian monitors. Fear must go before anyone will meet and talk. We must understand that the alternative to such an approach – or something similar – is major war. It will be a continued war, something like Yugoslavia but with the added risk of a military confrontation along Ukraine’s borders. It will lead to boundless hatred among people who are otherwise very close and don’t have natural – only political, nationalist – reasons to hate. It will mean generations of reconciliation work – again – in Europe. The situation has moved close, very close, to a new Cold War. Since 1989 this has been caused more by NATO’s expansion than by Russia. It is Russia that now has its former adversary at its doorstep; it is not Russia that has expanded a military nuclear-based alliance to the doorsteps of, say, the Baltic Sea, Germany, Austria, Turkey, Iran or the United States. The Western winner has failed miserably in creating a modern version of common security and build confidencewith Russia, the loser. Interfering in Ukraine, instigating regime change and seeking to get Ukraine into NATO and the EU sooner instead of later is a proof of that wrong-headed approach since 1989. Therefore, it can be argued, the situation today is moredangerous than the old Cold War. For all the believers in the idea of peace through balance, it must be frightening that Russia’s military expenditures are only 7-8% of NATO’s. You may not agree with this way of seeing it. But you mustanyhow share the view that a peace process today is better than a major war tomorrow. So let’s come together in creative thinking about the future rather than the past. Even if the West thinks that it is right and Putin wrong does right make might? To show just how right it is and how strong it is (sometimes called hubris) is the West and its citizens willing to endure a new Cold War with a risk higher than in the old Cold War days that it will turn hot? To get a totally ruined Ukraine into NATO? Another 50 years of animosity and hatred between Russia and the EU/NATO? A Russia that allies with Asia/BRICS and turns its back on Europe? A war that devastate our economies? Perhaps Russian terrorists aiming their actions at Western Europe because Russia is too weak to fight a war with NATO? Think a little – is that in anyone’s interest? Am I painting the devil on the wall? In a sense, yes, because the devil in all this is violence, the belief in getting your way by destroying what you don’t like. But even if a driver has the right because of a green traffic light, is it so smart to exercise that right if another car is approaching in high speed from the side, the driver ignoring the light? e) escalate the tension or violence. Everyone in a conflict usually has some good points, some justifiable arguments. The problem is that, taken togetherand pursued by violence, they end us all up in war. That is the other devil in all this. You and I care about human lives. Let’s think of ways to honour those killed onboard MH17 so their deaths serve something good instead of more war. 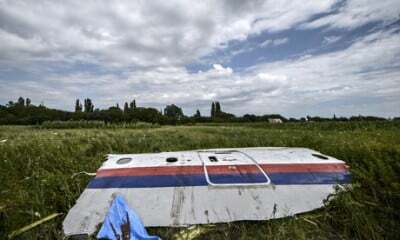 If we use instead of misuse the MH17 tragedy we shall now focus on the thousands or tens of thousands not yet killed but who will be killed and wounded in the looming larger war in Ukraine. If we don’t stop to think now. We can’t save the lives of the MH17 passengers but we can prevent a future mass human suffering that is war. Let MH17 be the wake up call that takes the main actors back from the abyss they are dangerously close to and taking us all with them into. One road to peace is the APPP I suggest. Look to the future and tell me what your constructive proposals are. Jan Oberg, TFF director, dr. hc.